Our numbers have dwindled a bit, but we are sure having fun. This last pack meeting, we had a HotWheel derby. It was a blast. I actully think that the grown-up had more fun than the kids. And the kids had fun! 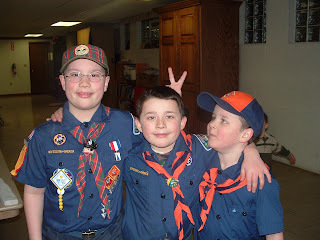 Don't these scouts look sharp!